Want to buy the best 3D printer model for your money? Wondering where to start and what to buy? We hear you. After countless hours spent printing and tinkering with a large selection of desktop printers – and no small amount of haggling and debating – the ALL3DP team presents their top picks for the best 3D printers of Spring 2019. To make your decision easier, the following selections constitute a set of awards. Each best 3D printer accolade is our honest recommendation for their category and/or price bracket. If you want to know how we reviewed these best 3D printers, here’s an overview of our testing methodology. We’ve also prepared a short guide on how to find the best 3D printer for your needs. If you are not sure about the terminology used, please consult our glossary. Without further ado, these are our recommendations for the best 3D printers of Spring 2019.
Who it’s for: If you want the closest thing to desktop FDM perfection, the Prusa i3 MK3S is the machine you should get. Why you should buy it: Because it is fun to work with. If you opt for the kit, the assembly is a joy. And if you pick one up pre-assembled, this highly versatile FDM/FFF printer delivers excellent prints right out of the box. Can an open-source Maker’s machine really be the best 3D printer overall? We think so. For starters, the Prusa i3 MK3S offers unparalleled value and quality for the money. And its technological prowess is such that it would easily outclass a 3D printer at three times the price. At All3DP, we found it became our go-to machine to get a print job done without any hassle. It’s quiet, it’s fast, and a pleasure to use. The removable print bed is something we didn’t know we needed so badly. And you won’t run into problems if you throw notoriously difficult materials in its direction – this machine delivers every time. Thanks to its open-source philosophy, the printer also is highly hackable, making it the ideal machine for experimentation and customization. Prusa’s Slic3r PE control software has some nice tricks up its sleeve and regularly gets updates to improve and add new features. A multi-material extrusion upgrade from Prusa is also available, adding the ability to print five different materials or colors in the same print. And if you feel you need a decent spool of ABS, PLA or PETG filament, their house brand Prusament isn’t bad at all. In February 2019, Prusa upgraded the MK3 to the MK3S model. You get an improved extruder and filament sensor for the same price as the MK3. The Ultimaker is known to be the “Rolls-Royce of 3D printing”: It’s pricey, but you will get unparalleled comfort, joy, and quality out of it. The Ultimaker 3 is a technological powerhouse with a professional attitude, boasting dual extrusion, swappable “cores” for quick nozzle changes, wireless connectivity, a print cam and much more. Thanks to Cura Connect software, you can start building a printer farm with it. It’s the ultimate pro machine for reliable professional FDM 3D printing – with a price tag to match, though. Who it’s for: Folks who want to get their feet wet in 3D printing with a highly affordable, yet astonishingly good 3D printer. Why you should buy it: Because it’s easy to use and costs less than three decent spools of filament. On top of that, the Ender 3 offers surprisingly excellent print quality and can be enhanced with various mods. How much you’ll pay: $180. Not so long ago, you couldn’t buy a printer under $200 that wasn’t a kit consisting of 200 parts – and not everyone likes to build kits. With the Ender 3 things have changed significantly. You can assemble the printer in under an hour, which makes it easy enough even for 3D printing beginners. Let’s not beat around the bush here. One of the most appealing features of the Creality Ender 3 is its incredibly low price point. Still, it has a heated bed, a decent user interface, a sturdy frame. On the downside, the Ender 3 only offers a modest print area of 220 x 220 x 250mm. It’s price, good print results and a decent build volume made the Ender 3 the most popular 3D printer by far. So if you are looking for the best 3D printer in the low budget category, you want a machine that balances the drawbacks of affordable components with printing quality and reliability. Creality even decided to make the Ender 3 open source, so that everyone can hack and modify it to its full potential. In the months since the release, we’ve seen a growing and vibrant community develop great mods and upgrades for this excellent little printer. As of now, there’s no better 3D printer for under $200. Who it’s for: Those in need of a hassle-free 3D printer. Why you should buy it: We found it to be very reliable and fun to use while delivering constant quality prints. How much you’ll pay: You’ll find the Anycubic i3 Mega for under $250. There’s no shortage of affordable Prusa i3 clones – and most are very reasonably priced. Still, if you are looking for a good budget 3D printer, you want a machine that balances the drawbacks of affordable components with printing quality and reliability. For us, the Anycubic i3 Mega is this machine. It is a rare thing that we leave a 3D printer in our test lab once we’re reviewed it. But we didn’t want to part with the Anycubic i3 Mega and found ourselves coming back to it frequently. The reason is simple: It is pretty much a plug-and-play machine. Load a spool of filament, start the print, and pluck it off the build plate once it’s ready. And that’s how it’s supposed to be, right? Since the price of the Anycubic i3 Mega has come down roughly a third, the printer is even more interesting. If you’re mostly printing PLA and PET-G, this could be a machine for you. The Ultrabase 3D printing bed worked fine for us: When heated, the prints stick to the bed, once cold, you can remove the print without hassle most of the time. The Anycubic i3 Mega comes pre-built with decent instructions and offers some nice features (filament sensor, heated bed, sturdy full metal frame) that are usually to be found in higher-priced machines. Careful with the filament sensor, though: We had occasions where it simply didn’t work. There’s a new and more expensive version called the Anycubic i3 Mega S. It wants to iron out some minor flaws and also sports an improved extruder. We’re still in the process of reviewing this machine. Clearly looking to capitalize on the success of the Ender 3, the Chinese manufacturer Creality unveiled a Pro version of its flagship 3D printer in the Summer of 2018. The Creality Ender 3 Pro doesn’t stray too far from the original, offering a nearly identical design and the same 220 x 220 x 250mm build volume, but it does have some noteworthy improvements that could make it worth the uptick in price. For starters, one change made to the Ender 3 Pro is the sturdy 40×40 aluminum extrusion for the Y-axis base, integrated to improve the overall stability of the printing surface. The new and improved version also comes equipped with a magnetic printing bed that is both removable and flexible, making it part removal easy. The Creality Ender 3 Pro also has a new “MK-10” extruder and higher quality bearing wheels that deliver increased stiffness, less friction, and all-around better dimensional stability. Who it’s for: Folks looking for the absolute most bang for their buck, and who are not afraid to tinker. Why you should buy it: It offers a surprisingly large build volume, good print quality for the money, is reasonably reliable, and has a supportive community sharing ideas for modifications. How much you’ll pay: Prices start at $440 if you shop around a bit. To 3D printing newcomers, it might not look like much, but the original Creality CR-10 caused quite a bit of a stir in the wider 3D printing community since its release in 2017. It sported a print volume that was unprecedented for consumers, and for that, many makers bought a CR-10. Since then, the Chinese manufacturer has improved the original version in several models, with the CR-10S giving you the best value for money. In the CR-10S you’ll find a filament runout sensor, an improved Z-axis, and a print resume feature. At first glance, the Creality CR-10S is rather basic. It sports an open-face frame with a heated bed, SD card reader, and LCD controls with an external power brick. So, what makes it the best printer in the $500 bracket? One of the key metrics that brings it home still is the price-to-volume ratio. As in, this is a budget FDM machine with a massive build space of 300 x 300 x 400mm. There’s something alluring about the possibilities a big print volume presents. And when that kind of excitement is backed up by a printer that produces high-quality prints, well that’s just pretty darn special. Also, there are many free hacks and modifications you can add to make it even better. Still, be prepared to tinker with it to get the best results possible – it’s a real maker’s machine. Not so fast! The Creality CR-10S might be our top pick for “Best 3D Printer Under $500”, but we’d say that the Ender-5 makes a worthy alternative. If you don‘t need to go for a big build volume, this might be the machine for you. It packs the best bits from the Ender 3 Pro into a bigger, box-like frame, ramps up the print-speed and irons out some of the known drawbacks of the Ender series. We found it to be a fun machine that can give you consistent quality prints. And if you look around a bit, you can even get it at $350. Who it’s for: Self-sufficient folks who like their hardware and software free of restrictions, without paying a premium. Why you should buy it: This is the current reigning champion of the independent, open-source RepRap movement, with kickass quality and reliability. How much you’ll pay: For a fully-assembled unit expect to pay around $1,000. The DIY kit is currently priced at $750 (excluding tax). The Original Prusa i3 MK3S is a proven open source design with a huge international user base. This unit was engineered by Josef Průša himself, and whether you buy it in kit form or pre-assembled, it’s a fantastic printer. Last year, its predecessor Prusa i3 MK3 won our “Best 3D Printer Kit” and “Best 3D Printer Under $1000” awards. In the Prusa i3 MK3S, we didn’t just get an upgrade; we got a clutch of features we’ll never be able to give up again. Like the removable magnetic metal print bed that lets you pluck your prints off the bed with ease; a rebuilt extruder, filament sensor, improved frame stability, and a power failure recovery system. It still has the full mesh bed auto-leveling, improved construction, faster printing, and an excellent E3D V6 hotend. All that, plus improved firmware and printer self-test. Průša Research is also known to constantly evolve the printer, it’s software and even the hardware. Below you find the review of its predecessor, the MK3. Who it’s for: Not just for trend followers, but for anyone looking to get a cheap 3D printer that works well and has the backing of the 3D printing community. Why you should buy it: Need proof that the Creality Ender 3 is the most popular 3D printer in Spring 2019? How about the fact that it’s been searched for over a whopping 146,500 times in February 2019 alone! Aside from its immense popularity, the Creality Ender 3 is a highly capable and affordable 3D printer. In search of the most popular 3D printers, we consulted an assortment of web search tracking tools to collate an accurate reflection of what people look for most. Since dethroning the Anet A8 as the world’s most popular 3D printer, the Creality Ender 3 has become the most popular 3D printer ever. No wonder, as it presents itself as a machine that is just as cheap, but much more reliable. Since it was announced in March 2018, the Ender 3 quickly climbed to the top of the 3D printer search results. In fact, the printer has become such a staple on the 3D printing market that Creality has released the Ender 3 Pro, a refined version with a handful of mechanical improvements and new features. One of the most appealing features that make the Creality Ender 3 such a sought-after 3D printer is its incredibly low price point. But don’t equate a low price with lackluster features. It has a heated bed, a decent user interface, a sturdy frame, and a modest print area of 220 x 220 x 250mm. Creality even decided to make the Ender 3 open source, so that everyone can hack and modify it to its full potential. In the last few months since the release, we’ve seen a growing and vibrant community develop great mods and upgrades for this excellent little printer. Who it’s for: Curious folks who want to learn everything they can about the wonderful world of 3D printing, down to the nitty-gritty of every single nut and bolt. Why you should buy it: This is the best 3D printer kit on the market, with super-detailed assembly instructions and a manageable build-time. How much you’ll pay: In kit form, this printer should cost in the region of $750 (VAT not included). Oh-ho! Our pick for the Best 3D Printer Kit also happens to be the same as our pick for the Best 3D Printer Under $1000 and Best 3D Printer. How’d that happen? Well, based on our experiences with building the MK3S in kit form, together with the Prusa pedigree for careful, iterative design … this is an easy selection to make. When building a kit printer, the tantamount consideration is the quality of the supporting documentation. You require clear, consistent, annotated step-by-step guidance. And when something goes wrong, you need to know where to turn and who to ask. On that front, the Original Prusa i3 series has been outstanding. The assembly instructions are available in 7 languages (no Klingon, though), with clear pictures and diagrams, together with how-to guides and support questions addressed in the community forum. And we can’t forget the gummy bears Mr. Prusa throws in every kit to sweeten the deal. Who it’s for: You need to 3D print items with absolute precision and detail, for example, jewelry, figurines, or dental fixtures. Why you should buy it: This is the first desktop printer to bring stereolithography to the masses, and with a growing ecosystem of materials with different properties, it’s still pretty much the leader in its class. How much you’ll pay: Prices start at $3,379, though the finishing kits and post-processing devices can push the price significantly higher. The Formlabs Form 2 is underpinned by stereolithographic (SLA) technology and is perhaps the very best 3D printer in its category and price bracket. SLA works by curing the resin in a tank with a high powered laser that draws each layer, providing solid objects with exceptional levels of detail. This premium device is equipped with a peeling mechanism, a heated tank, a touchscreen display, wireless controls, and an automated resin system. It also has some cleverly designed software to make fabricating models as painless as possible, the user experience is unparalleled, and the customer support is well established. Printed objects will require some post-processing, however, and the resin tanks are consumable components that must be replaced regularly. Starting with a successful Kickstarter campaign, Peopoly’s Moai turned out to be one of the surprise hits of 2017. Since then, Peopoly has expanded its printer palette with the Moai 130 and the Moai 200. There’s much to praise about the series: their well documented DIY kits, the excellent build quality, the open approach to 3rd party resins. The Moai 130 model has ironed out many flaws of the original and offers several improvements like an FEP vat, an easy-to-level build plate, a better heater module and UV curing light. If you are looking for an affordable SLA machine, the Moai 130 should be on your shortlist. Who it’s for: Anyone interested in testing a resin printer without busting their budget. Why you should buy it: Because this little black and blue box makes astonishing 3D prints. In the right hands, you can expect semi-professional results. How much you’ll pay: Shop around a little, and you can pick up the Anycubic Photon for $390. Stereolithographic (SLA) technology, so they say, is not for everyone. It’s all about the big, expensive, professional resin printers. Or is it? 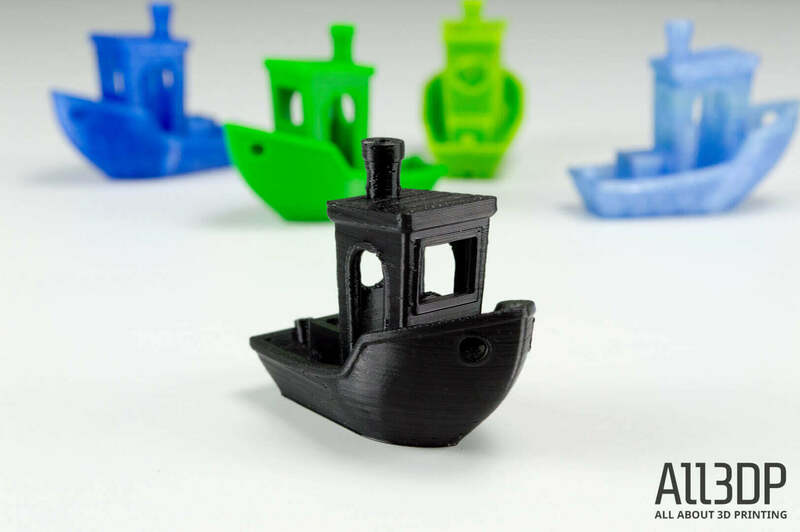 Machines like the Anycubic Photon have opened a whole new category for affordable resin printing. First of all, the process of setting up the printer was a breeze; the usability didn’t differ much from machines three times the price. But the most important thing is it delivers detailed prints. During our time testing this machine, the print quality was impressive with nearly flawless surfaces and defined, intricate details coming shining through. It’s not perfect though. The build volume is tiny compared to FDM printers, just 115 x 65 x 155 mm. Post-processing requires patience and space; the resins can turn your workspace into a sticky mess. So it’s not a machine you want as a dentist, jeweler or pro modelmaker. Meaning: If you choose the Anycubic Photon, you’ll get your fingers sticky, that’s for sure. Aside from that, at under $500, it’s hard to find reasons to discount the quality of the Anycubic Photon. Like the Anycubic Photon, the Phrozen Shuffle is a fresh face on the resin-based 3D printer scene, serving as evidence that this technology is entering a new age of affordability. Equipped with a 5.5-inch 2K LCD screen, the manufacturer claims that this printer can achieve an incredibly fine XY resolution of 47 microns. The 120 x 68 x 200mm build chamber edges out the Anycubic Photon by a slim margin. In our review, we found that the Phrozen Shuffle delivered high-quality prints at a consistent rate, but was slightly bogged down by issues with the UI and software. Still, for around $700, we’d consider this printer as a decent bargain pick for those looking to dip their toes into the sticky world of resin 3D printing. Who it’s for: Folks who want a professional machine and want to print big. Like, REALLY BIG. Why you should buy it: Because the Raise3D Pro Plus combines a great workflow with large capacity FDM 3D printing. There’s no getting around it, the Raise3D’s flagship is gigantic. It’s massive. It’s humongous. A small child could probably sit inside its frame. But don’t be intimated by the size. Everything on this printer has the tag “professional” written over it. The build quality is excellent. Everything is sturdy, nicely designed, the Z-axis rods alone are hefty sticks of industrial grade metal. Raise3D’s “Ideamaker” software makes slicing and finetuning your print jobs easy. Overall, this 3D printer is meant to work in a lab, a university, a manufacturing line for a long, long time. The Raise3D Pro2 Plus comes with a massive 305 x 305 x 605 mm build area. The V2 hotend can deliver temperatures up to 300°C and, thanks to an enclosed chamber and a heated bed, this large-format 3D printer can print notoriously tricky materials and even metal composites (with an upgrade to a wear-resistant nozzle). Thanks to a 10 micron Z resolution and 0.78 micron X/Y/Z step size you can print fine details with ease. Of course, the convenience comes with a price tag attached. If you don’t need the full size, there’s still smaller but no-less capable Raise3D Pro2 for $3,999. Want to print big without investing much money? Don’t need a professional workflow? Meet the Creality CR-10 S5. It is one of the most affordable large-format 3D printers you can buy on the market. Compared to its enormous build volume of 500 x 500 x 500mm, it is relatively cheap. Sure, you will have to experiment more as it misses most comfort features of the Raise3D printers, but it comes at a fraction of the price. Who it’s for: Folks who want a versatile and reliable set-and-forget machine they can trust. Why you should buy it: Whatever you throw at it, the Lulzbot TAZ 6 delivers consistent print quality. This is another champion of the open source movement in 3D printing. How much you’ll pay: Prices start at $2,500, though seasonal discounts happen a few times a year. The Lulzbot TAZ 6 is perfect for labs, workshops and maker spaces. This big, bold machine has a brilliant auto-leveling feature which, together with solid print quality and straightforward setup, makes it the only workhorse 3D printer you’ll ever want to use. There’s no calibration or guesswork, it all functions as it should. The TAZ 6 is also open source and carefully documented, with scope for additional upgrades like the Flexystruder (optimized for printing flexible materials), dual extrusion, the MOARstruder (for printing large objects with fat layers) and the new Aerostruder v2 Micro for ultrafine details. If you are looking for a workhorse 3D printer you can trust, look no further. The UP300 has a closed-box design that makes it optimal for printing with ABS and other temperature-sensitive materials. It’s got a modest 205 × 255 × 225 mm build volume, an air filtration system, and a sturdy sheet metal frame, making it the perfect tool for an office or workshop. You even get three different designated print heads for ABS, PLA, and TPU, each of which is optimized to print with the specified material. If you need a workhorse 3D printer that is capable of taking on advanced materials like ABS, look no further than the Tiertime UP300. Who it’s for: Those in need of excellent dual-color or dual-materials prints. Why you should buy it: Since the release of the Ultimaker 3, the series has offered dual extrusion capabilities. In contrast to what most competitors promise, these machines deliver – as does their newest workhorse Ultimaker S5. How much you’ll pay: Currently $5,995. As of 2019, dual extrusion is the new frontier for Chinese 3D printer manufacturers that want to get a bite of the market share. We’re sorry to say, but so far, most of them are failing miserably. While it’s relatively easy to mount a second extruder to your printer, it’s the interplay between soft and hardware that makes the difference between a great print and an utter mess. Since the launch of the Ultimaker 3, the Dutch company invested a lot of time in perfecting the dual-extruder settings in their open source software Cura. And thanks to their simple, but ingenious method of changing the print heads during the printing process, you don’t waste any of your precious printing material in a wipe tower you throw away after printing. It is known to be one of the slower machines, but for us nearly every time the dual extrusion just worked just fine. So if you want a dual extruder machine that delivers, the Ultimaker S5 should be on your shortlist. Building off the success of its renowned dual extrusion 3D printer line, the Barcelona-based manufacturer BCN3D has re-engineered the distinctive Sigma into the recently released Sigma R19. Featuring an independent dual extrusion system (IDEX) that utilizes two separate extruder heads, the Sigma R19 introduces Mirror and Duplication printing modes which allow users to print a model and a symmetrical copy at once, increasing the printing capacity and reducing production time. There are also a number of hardware and design upgrades that place the BCN3D Sigma R19 one step ahead of its predecessors. This includes redesigned Sigma HotEnds by E3D, which provide smoother and more reliable extrusion, and new Sigma extruders designed by BondTech. Compared to the R17 model, the most notable differences in the BCN3D Sigma R19 are the new printing modes and enhanced extruder system. Other improvements to usability include a mechanical filament detection switch that automatically stops a print once the material runs out. Who it’s for: Anyone who wants to start with 3D printing without frustration and a steep learning curve. Why you should buy it: Looking for the best 3D printer for beginners? You could do a lot worse than the UP mini 2 ES, which has some extraordinary features of genuine value. The UP mini 2 ES is the best 3D printer for beginners thanks to some impressive high-end features. Like its predecessor, aptly called the UP mini 2, the new and improved ES model is equipped with touchscreen controls, a closed build chamber and WiFi connectivity. But even more attractive are safety-conscious features like power failure protection — so the print can resume after an abrupt stop — and built-in HEPA and activated carbon air filtration system to maintain a healthy working environment. There’s also automatic nozzle height detection and a separate, enclosed spool container to prevent the filament from spoiling from exposure to moisture in the air. Overall a very tidy package. Unfortunately, it also carries on the lineage of having a teensy 120 x 120 x 120 mm build volume, but there are other features that give it an edge over the original. New features integrated into the UP mini 2 ES are focused on functionality and usability. These include Print Queue, which allows users to send multiple print jobs to the machine through USB or WiFi, and an upgraded touchscreen. Overall, this machine makes it very comfortable for beginners to get into 3D printing – much easier than any cheap 3D printer would do. Many companies claim to have the “best 3D printer for beginners” – only a few deliver on the claim. Flashforge is one such company. Offering a great package that’s capable of giving you quality prints and enough room for improvement should you dive deeper into 3D printing, it is the ease of use that caps the Flashforge Finderoff as one of the best 3D printers for beginners. Who it’s for: For teachers, educators, workshop organizers, and students of all ages. Why you should buy it: With the acquisition of MyStemKits, Robo now offers a full ecosystem for 3D printing – spanning apps, materials, curriculum, and hardware – to make printing as effortless as possible. How much you’ll pay: Prices start at $799. Choosing the best 3D printer for schools isn’t an easy task. For example, MakerBot offers a robust ecosystem with its “Replicator+” printer, but at a price that not every institution can afford. For roughly a third of the money spent, you can buy a Robo C2. Robo offers a broad mixture of apps, features, printers, plus a curriculum (K-8 Lesson Plan ideas, K-12 & University Grant Guides, and the Robo Edu Panel). Recently, the company also acquired MyStemKits, and they will offer comprehensive 3D printing-aided education for all ages. Taking the printer in isolation, you get a partially-enclosed printer with a medium-sized, removable print bed (but non-heated, so you only print PLA), automatic bed-leveling and a filament-runout sensor. The hot end is mostly out of reach of curious fingers; the semi-enclosed build-space protects the build area from foreign objects. But the icing on the cake is the tools around it. Want to access the printer without Wifi through an app? Use the personal hotspot feature. Want to use Octoprint? Sure thing, you can do that. Want removable beds? The C2 has got you covered. Another printer on this list to feature classroom-friendly features in a HEPA filter and closed print chamber, the 3D45 also impresses with its connectivity and extra touches like print monitoring camera large easy to navigate touchscreen. That, and Dremel’s raft of resources for educators. Who it’s for: For makers, labs and professionals in the market for a productivity machine that covers all bases. Why you should buy it: Years of pedigree developing all-in-one 3D printers means ZMorph’s machines boast reliability, ease of use and, simply, they just work. The ZMorph VX offers toolheads aplenty. First, you can choose from three FDM plastic extruders: One each for 1.75 mm and 3 mm filament, plus a dual extruder. The CNC Pro toolhead lets you mill and engrave acrylic glass, EVA foam, wood, and more materials. The Laser Pro transforms the machine into a laser cutter and engraver. And finally, a Thick Paste Extruder brings materials like ceramics, chocolate or even cookie dough into precise machined forms. We found that changing the toolheads was an easy task even for beginners – just click the toolhead in place, add the wires, and you‘re ready to go. The printer is built like a tank, with heavy use of stainless steel adding heft and solidity. It’s a system designed to be working 24/7 while being robust and reliable. Of course, a fabrication device is only as good as its software. The ZMorph VX uses iZMorph’s proprietary Voxelizer 2.0 software to control all aspects of 3D slicing, CNC and laser movements. The software offers some nice features you won’t find anywhere else. For example, the dual plastic extruder is capable of printing two materials and even blending them. You can even print textures onto an object, which is unique. We found the Voxelizer to be a very versatile tool – it’s even sold separately and can be adapted to other 3D printers. Overall, you’ll get a reliable and tested all-in-one 3D printer that’s capable of fulfilling most of your design dreams. After a successful crowdfunding campaign, Snapmaker delivered a versatile machine that’s easy to use for makers. The possibilities of 3D printing, CNC milling, and laser engraving will make your DIY projects shine. Changing the tool head is easy, even for beginners. There are some drawbacks, though. The user interface could use a little polish, and the teeny-weeny build space of just 125 x 125 x 125mm might prove to be too small for some. Otherwise, the Snapmaker is an excellent and capable all-in-one 3D printer that would complement any workshop. Who it’s for: Professionals that want the print quality selective laser sintering affords, without investing $200,000 dollars on a machine. Why you should buy it: The Sinterit Lisa Pro desktop SLS 3D printer is made for labs, workshops, and professional designers. How much you’ll pay: Prices start at $14,500. The full package, which includes a sandblasting station and powder sieve, costs an additional $6,300. The Lisa Sinterit Pro supersedes our SLS 3D printer award winner of 2018, the Sinterit Lisa. The Polish company has improved on three major points: The Lisa Pro can now print with more industrial materials, offers a larger build volume (150 x 200 x 260 mm) and sports improved software and firmware. The SLS technology offers several benefits over FFF/FDM printing: Machines like these deliver stunning results, let you use a variety of standard industrial materials, don’t need any support structures, print multiple parts at once, and give you total freedom of form while designing. Therefore, SLS printers are the natural choice for additive manufacturing professionals. The Sinterit Lisa Pro also delivers industrial-grade performance for a great price. The compact Polish powerhouse is capable of 3D printing functional prototypes and end-use parts. Be aware that despite the low cost and intuitive interface, the Sinterit Lisa Pro still requires more work and production-savvy skills than your average FDM printer. The Sintratec S1 is considered to be a desktop-sized SLS 3D printer, but don’t be fooled by the word “desktop.” This machine has a surprisingly large build volume that can create parts measuring up to 130 x 130 x 180 mm (although the manufacturer recommends staying within 110 x 110 x 160 mm). Designed and manufactured in Switzerland, the Sintratec team has collaborated with leading local technology institutes to optimize its laser sintering process. This system utilizes galvanometers to control the direction of the high-precision diode laser, which greatly increases the printing speed in comparison to other desktop SLS printers. Priced around $23,699, the Sintratec S1 is clearly not geared toward the consumer market. This machine is engineered for professionals and small businesses that want an SLS system without spending an exorbitant amount of money on a bulky and complicated 3D printer. For those who want to experiment with SLS without breaking the bank, Sintratec also offers the Sintratec Kit for under $6,000. The editorial team at All3DP has become acquainted with quite a few 3D printers over time. Each one of us has developed a personal affinity for a certain machine. We regularly find ourselves drifting back to them when it comes time for a new project (whether it be work-related or for leisure). Think of this section as an homage to the 3D printers that tickle our fancy, the machines that bring a gleam to our eye as we step into the office every morning, the ones that evoke creativity with every extruded layer, the…well…you get the picture. And so, without further ado, here are the three selections for Editor’s Choice of Spring 2019. The Ender-5 really surprised me. It was not only easy to set up and maintain but was fast, reliable and hackable. Creality’s engineers have ironed out most minor flaws that plague the Ender 3 series. Besides the manual leveling and the magnetic bed (which looks like a steaming mess after just a few prints), there aren’t any complaints from me. If you want a reliable machine for your workshop, don’t want to spend too much money, and want a less hassle than with the Ender 3, the Ender 5 is a great pick. Consider this pick the champion of the under-the-radar printers. Tiertime doesn’t market itself particularly well in Europe and the US it would seem, because the UP300 is positively a 3D printer worth knowing. We’ve been cracking out ABS prints for months with no issues whatsoever. No print anxiety and rushing to check the print is running okay, just job after job wirelessly piped to a printer that diligently gets on with the task; just as any workhorse should. Rafts are necessary, but they practically peel away in hand, as do the supports. Top. The Lulzbot Mini 2 is the smallest machine offered by Aleph Objects, with a six cubic inch build area. We’ve made it our Editor’s Choice printer for a couple of reasons: its reliability, easy setup, and the lively community surrounding the company. The Lulzbot Mini 2 is proof positive that an open source philosophy and a great user experience don’t have to be mutually exclusive. We highly recommend the LulzBot Mini 2 for prosumers, designers, engineers and small businesses that require a printer that is dependable, consistent and able to pump out high-quality objects quickly. Selecting the best 3D printer for your needs is not an easy task. We want to make the process it a little bit easier. If you are a newcomer to 3D printing, things can get overwhelming. Specifications and terminology may sound gibberish and intimidating. So you best resort to a dedicated printer for beginners, right? Unfortunately, that’s not always the case. There are four traps you can fall into. 1. Careful with “beginner’s printers”: There are some printers on the market that claim to be suitable for beginners. While they come prebuilt, you will pay extra for the overpriced filament, get frustrated with poor build space, and get dubious printing results. To avoid this, it’s best to check some independent reviews of the chosen model. 2. Don’t buy too cheap. When looking for the best 3D printer for your money, the worst thing you can do is to waste it on a cheap, untested no-name printer. Don’t get us wrong, we don‘t want to talk you into spending more of your hard earned money – but there’s a huge difference between a no-name cheap printer and the Best 3D Printer Under $200 or $300. Again, reviews matter to get the best 3D printer available. 3. Kickstarter woes: So why not buy on Kickstarter? In our opinion, Kickstarter and Indiegogo are not the best places to buy 3D printers. You can get ripped off intentionally (like with the $99 Peachy Printer), leave empty-handed (like with the Tiko 3D), or get your printer much later than promised (which happens to most Kickstarter projects). After so much advice, we recommend you to take a look at the categories Best 3D Printer Under $200, Best 3D Printer Under $300, Best 3D Printer Under $500, and — of course — Best 3D Printer for Beginners. You’re sure to find the best 3D printer for you in these categories. If you consider yourself a tinkerer or maker who wants to tap into 3D printing, you won’t need the most expensive and flashy model available on the market. The good news is you can save a significant sum by buying a decent, affordable machine. If you buy a kit printer, you can also learn a lot by assembling the machine yourself. The market for the 3D printing hobbyist is heavily populated, so you have a great variety of machines. The most difficult part is finding the best 3D printer for your needs. Also, an open source approach will make sure the users themselves can develop the printer ecosystem, so you can have fun with the machine even if the manufacturer may have gone. If you want to make sure to get the best 3D printer, we recommend you take a look at the categories Best 3D Printer Under $1000, Best 3D Printer Under $500 and Best 3D Printer Under $300. These will give you the best bang for the buck. The categories Best 3D Printer, Best 3D Printer Under $500, Best 3D Printer Under $1000, Best 3D Printer Kit, Best Workhorse 3D Printer and Editor’s Choice are most likely to meet your needs. If you are a professional that just wants to get the job done by 3D printing, you don’t care too much about brands. You need your prototype without having to tweak confusing settings. You need a 3D printer something that works out of the box, that gives you hassle-free and reliable results. Also, the materials you can print with matter to you. If you feel you belong in this category, please check the Best 3D Printer and Best Workhorse 3D Printer. If you need high-quality details, you should also check the Best Resin 3D Printer. To properly test the various 3D printers we receive for review, we have a baseline selection of objects to fabricate. First and foremost is 3DBenchy, the jolly 3D printing torture test. It’s specifically designed to be a calibration model — while also being cute as hell — and our workshop is drowning in them. Secondly we print another torture test called the Kickstarter Autodesk test. Thirdly is a freely chosen STL file by the reviewer. Taken together, these three objects cover just about everything that a 3D printer is required to do effectively; sloping surfaces, dimensional accuracy, bridging, overhangs, supports, fine details, and more. If a printer fails to passably print any one of these objects, then it’s unlikely to rank as a best 3D printer. After that, we will print more objects that specifically address the individual capabilities of the machine. If we have a large-volume printer, for example, we’ll be printing a — surprise — very large object. If it’s an SLA printer, then we’ll make fine detail models to take advantage of this particular production technique. Other points of consideration for a best 3D printer; ease-of-use, supporting software, and repair options. If something goes wrong, how easy is it to fix the machine? Does the documentation or customer service provide adequate information? Does the software suite have regular update cycles? We strive to answer all these questions and more in our quest to find the best 3D printer for you. When choosing your best 3D printer, you run into terminology that may be confusing. Here are explanations the most important terms. ABS: Acrylonitrile butadiene styrene, otherwise known as ABS, is a thermoplastic commonly used as the build material or ‘filament’ in FDM printers. It’s fairly strong, but it’s also a bit tricky to work with (and can give off nasty odors when melted). FDM: Fused deposition modeling, otherwise known as FDM, is a 3D printing process that extrudes heated thermoplastic material through a computer-controlled nozzle to build an object layer by layer. FDM is actually a trademarked term, which led to the RepRap open-source community to coin the alternative term “fused filament fabrication” (FFF), but the two are interchangeable. Filament: Filament is the base material that’s used to 3D print objects via FDM. Filament is usually a thermoplastic — such as ABS or PLA — that’s fed to a print head as a solid, then heated to melting point for extrusion through a small nozzle. Filament is commonly available in spools of either 1.75mm and 3 mm diameter widths. G-Code: G-code is the language used to instruct your 3D printer to perform operations. In common usage, this is almost exclusively generated by software and is not written by hand. G-codes control specific actions like motion, speed, rotation, depth, and other related switches and sensors used in the operation of a machine. Heated bed: This is a build plate which is heated so that the few layers of extruded plastic are prevented from cooling too quickly and then warping. A heated bed is essential for working with ABS or PETG materials, but not so much with PLA. Hot end: This is the heated nozzle that molten plastic filament is extruded through in an FDM/FFF printer. PLA: Polylactic Acid, otherwise known as PLA, is a bio-degradable plastic that’s used as the build material or ‘filament’ in FDM printers. This material is easier to work with than ABS, and the smell is not so unpleasant, but the trade-off is that PLA is structurally more brittle. SLA: Stereolithography is a 3D printing technology that works via a process called vat photopolymerization. Objects are built in layers using a Stereolithographic Apparatus, or SLA for short. This works using a laser beam to trace out and solidify each successive layer of an object on the surface (or base) of a vat of liquid photopolymer. Slicer: 3D printing works by building an object layer by layer. A slicer is the software package used to divide a 3D model into flat layers, which are then printed one at a time. The output of a slicer is G-code that controls the path, speed, and temperature of the printer. Slicer software packages are available in both open-source and proprietary programmes, and they’re an essential tool for successful 3D printing. SLS: Selective Laser Sintering, or SLS for short, is a technology commonly employed by 3D printing services for metallic objects. SLS is a powder bed fusion 3D printing technique that uses a laser to selectively fuse — or sinter — together with the granules of successive layers of powder. STL: STL is the most popular file format for 3D printing. The STL file format represents a 3D object by describing the surface as a series of triangles. Strangely enough, information about what the letters STL actually stand for has been lost to the mists of time. Backronyms posited as an answer include ‘standard tessellation language’ and ‘standard triangle language’. 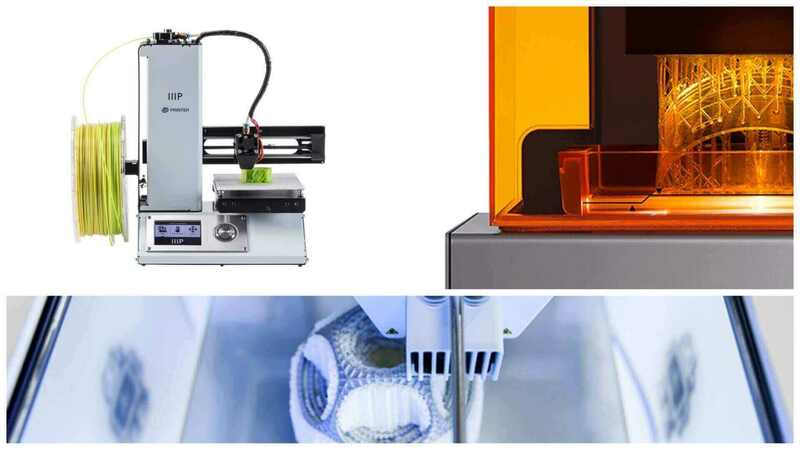 License: The text of "17 Best 3D Printers of Spring 2019" by All3DP is licensed under a Creative Commons Attribution 4.0 International License.